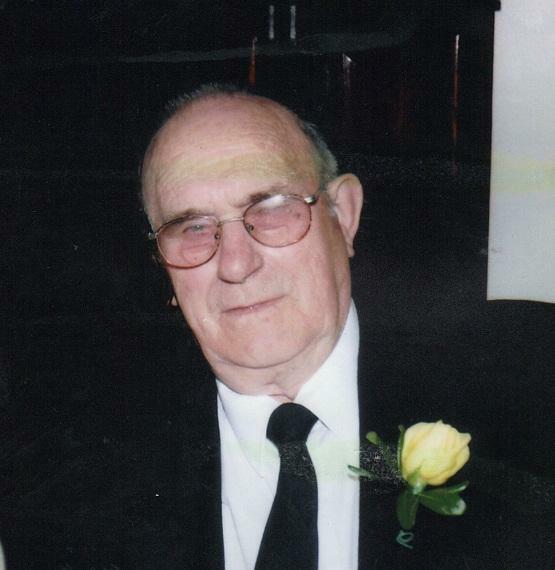 It is with great sadness that the family of the late FRANCIS JOHN FEWER of St. Bernard’s announces his passing at his residence in St. Bernard’s, NL on Tuesday April 24, 2012 at the age of 84. Leaving to mourn with fond and loving memories are Wife Elizabeth of 60 years; Sons Howard (Cindy) of Bay L’Argent, Dereck of St. Bernard’s, Austin (Sharon) of Marystown, Dean of Alberta, Colin (Jennifer) of BC., and Jason (Katrina) of Fox Creek, AB. ; Daughters Mary (Hubert) Cox of Medicine Hat, AB., Madonna Lundrigan (Kevin Bobbett) of Marystown and Gloria (Gerard) Hodder of St. Bernard’s; 15 Grandchildren; 8 Great-Grandchildren; plus a large circle of family and friends. Pre-deceased by Parents William & Catherine (Whittle) Fewer; 2 Sisters and 3 Brothers. Funeral Mass took place at the Sacred Heart RC Church in St. Bernard’s on Friday April 27, 2012 at 11:00am. Interment followed at the Sacred Heart R.C. Cemetery in St. Bernard’s. In Francis’s memory, donations may be made to the Sacred Heard RC Church in St. Bernard’s and flowers gratefully accepted.